LOCSU has created a range of publicity material that can be used and adapted by LOCs. You will find these available for download in the members’ area (login at the bottom of this page). These videos were developed to explain the role and the benefits of joining the LOC. The resource includes a template PowerPoint presentation which LOCs can adapt for local use. The presentation includes links to the videos. 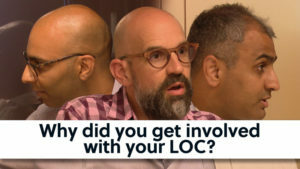 Why did you get involved in your LOC? What do you get out of being involved in your LOC? This generic poster can be used if you are delivering or are about to deliver a Minor Eye Condition Services and wish to publicise its availability. 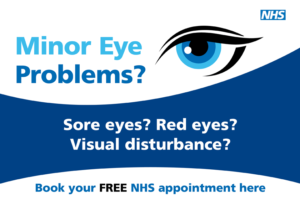 This generic poster can be used as a window sticker if you are delivering or are about to deliver a Minor Eye Condition Services and wish to publicise its availability. This generic poster can be used to signpost a MECS pathway that is being delivered locally. This generic leaflet can be used to explain what a Minor Eye Condition Service is, what it does and does not cover, and how to book an appointment. It has space to add a list of participating practices or to signpost to an LOC website or Primary Eyecare Company website. This adaptable infographic in PDF (or JPEG) format can be used by LOCs and Primary Eyecare Companies as an “impact poster” for CCGs and Acute Trusts. MECS template press release for use with local media. We can also provide LOCs with high-resolution versions and deal directly with your designer or printer. For advice and more options contact cmcgachy@locsu.co.uk. 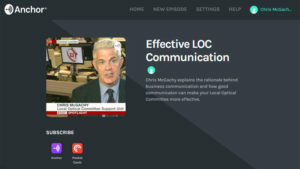 In this section of the website, we provide a range of publicity resources created by LOCSU Communications that can be adapted by LOCs for local use. Most LOCs have their own website which provide email contacts for the committee, details of LOC meetings including the AGM and CET events.